O Manjerico! | Where in the world are the Uricks??? 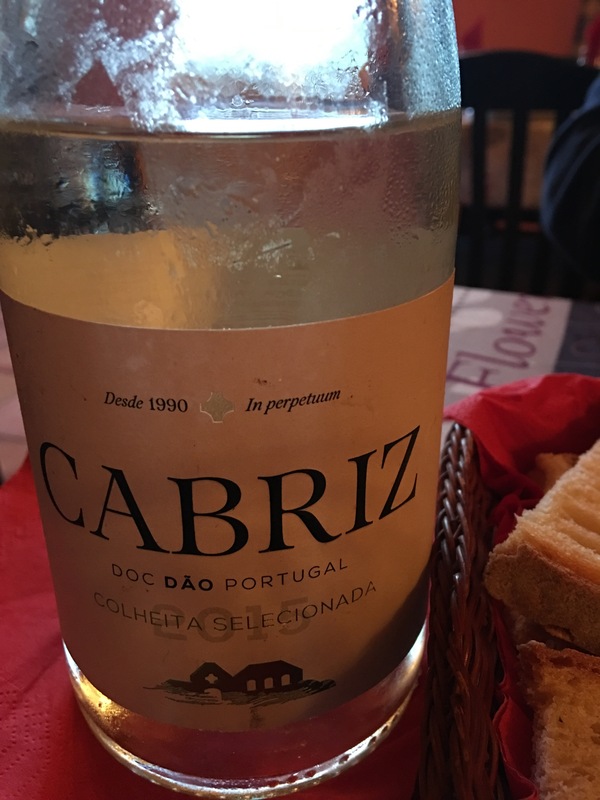 Everything about O Manjerico in Prazeres is a little different from the norm – from procuring a reservation, to the actual dining experience. I read about the restaurant on Trip Advisor and it sounded good and not too far from our place for night driving. Reservations were recommended and so I attempted to call without success, but then wrote them a message on Facebook requesting a reservation. The response was positive but also inquiring what we would like to eat! I’d read how good the stuffed chicken was, so went with that! We arrived for our dinner to this lovely little stone building with no obvious outward appearance that it was a restaurant. In we went to a cozily decorated room with fireplace ablaze and a warm welcome from the proprietor. Seated in front of the fire, there was just one other table set for two and we were soon joined by a young Dutch couple. The meal itself was absolutely delicious. 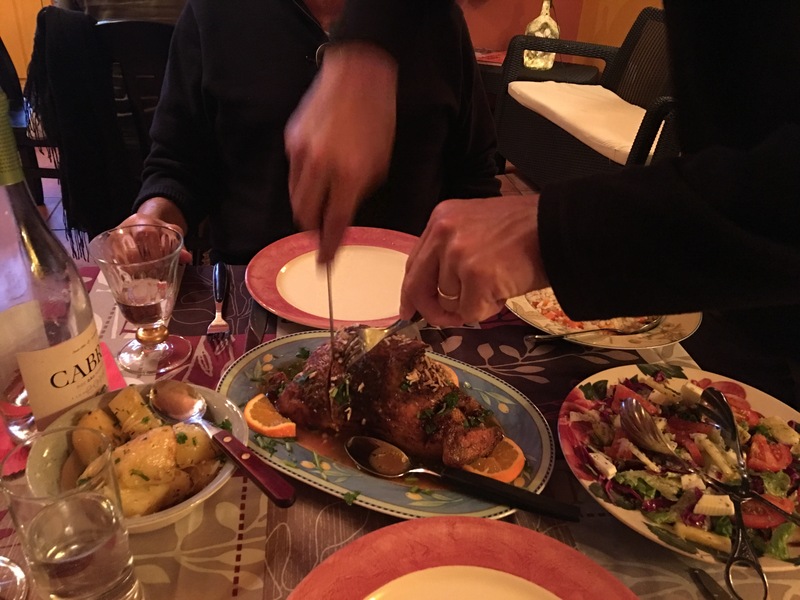 Starting with fresh, home-baked bread and a platter consisting melted Brie, stuffed mushrooms, shrimp, short ribs with a delicious sauce, and little meat-filled puffs. 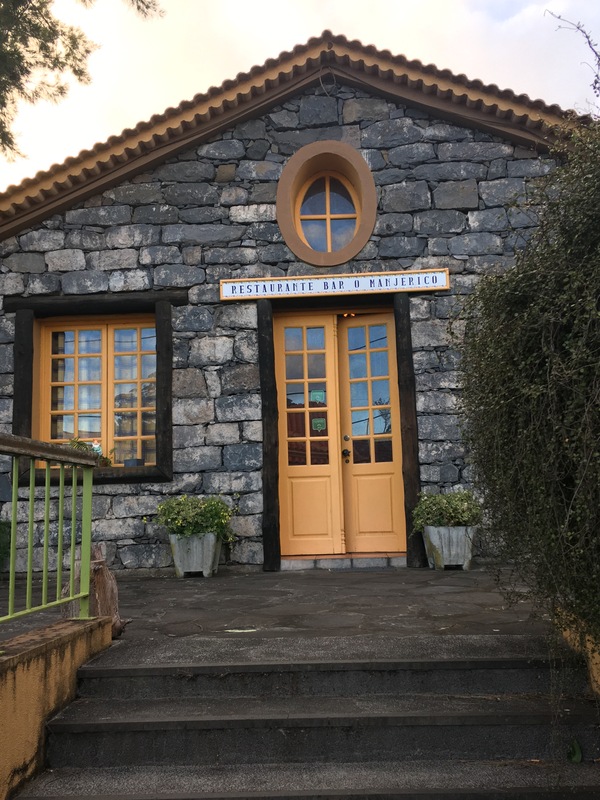 The entire evening was very leisurely and we enjoyed conversation with the proprietor and also the other couple; experiences whilst on Madeira, living on the island, the U.S. political situation, the pending Dutch elections, and much more. The deboned roasted chicken stuffed with pork, chestnuts and raisins was absolutely delicious. … and dessert! Oo-la-la! 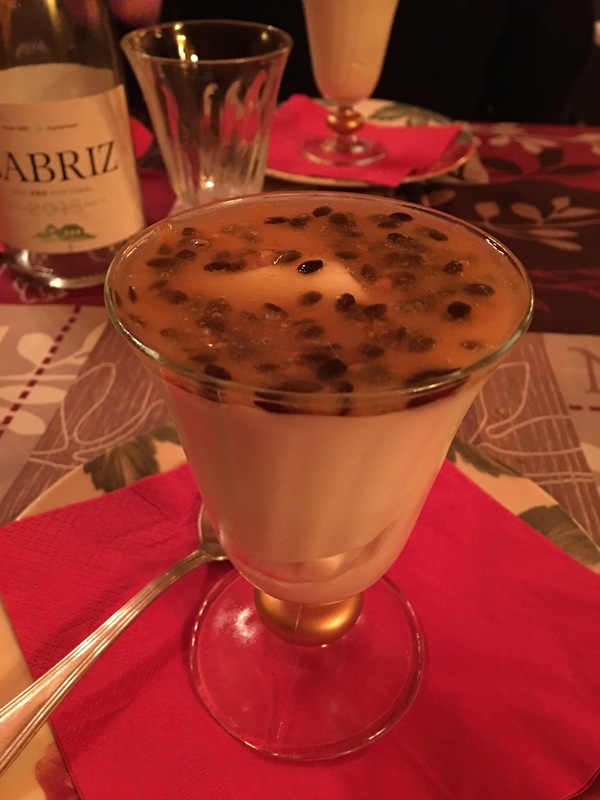 Passion fruit mousse, which resembled key lime cheesecake, topped with fresh passion fruit! We definitely saved the best for last! Salad for the next few days!! 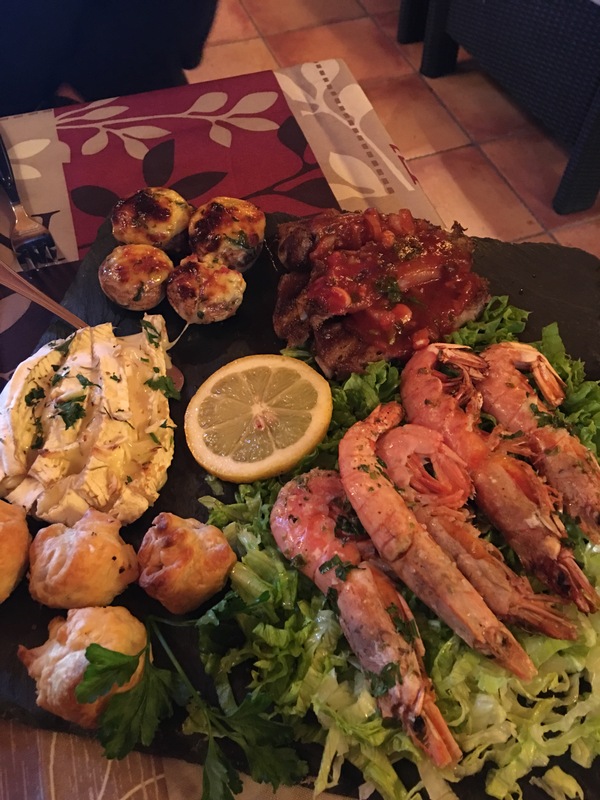 This entry was posted in Eating Out, FOOD, Madeira, Portugal, USA and tagged best food, Madeira. Bookmark the permalink. O Yum! What a marvelous undertaking!